Acreman School & Community Playground: Outdoor Classroom Funding Approved!!! Good News! 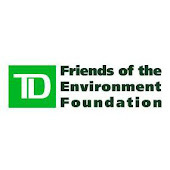 We just received word that we have been awarded a $5000 grant from TD Bank -Friends of the Environment. This $5000 will enable us to build an outdoor classroom and include some native plants, shrubs and trees in our school yard. Thank you TD Canada Trust!